The Pico model may lack the impressive array of keys on the flagship Alpha, but when it ships next month it’ll cost well under a grand. And even the Pico promises high-resolution touch, velocity-sensitive keys that you can “bend” as well as press, and high-resolution breath input. The “space bassoon” Eigenharp seems to have landed from another planet. Today, I’ve got good news: it’s bringing alien gifts with it. By next year, both the software and the high-performance protocol the instrument uses will be open source. Taken together with other advancements in the open source community and with protocols like OSC, that could mean we’re at the vanguard of a golden age for more open, more intelligent, more expressive digital instruments. Genuinely new music controllers made available commercially don’t come along very often. So this week’s news of a strange but wonderful-looking instrument shaped like a bassoon with customizable key controls turned many heads. With high-resolution, high-frequency data and reliance on the computer for everything from sound generation to mapping the keys to different tunings, the computer connection matters. Eigenharp’s chairman, John Lambert, sets the record straight for CDM on the software, the way it talks to your computer and other gear, and how open the tools and protocol will be. What protocol do the instruments use? The instruments talk to their base station by a dedicated, high speed, differential, transformer-coupled, error-correcting digital protocol designed (and tested) for use in noisy stage environments by ourselves. The wire used is a 4 core, standard star quad mic cable and can be up to 40M long. The base station then talks to the control software running on the host PC (Mac at the moment) via a dedicated protocol over USB2. In the host system, the native protocol used between agents (our software components) is a network protocol called Eigentalk. This can run over Ethernet wires (with slightly increased latencies due to some smart jitter buffering we do). We will be making this public and freely available (when we open-source our main software) in Febuary next year. There is an open API, to be published at the same time, for our equivalent of AU’s or VST’s, hosted in our software, EigenD. This is rather richer than the AU and VST API’s, for reasons connected with the expressiveness and configure-ability (is that a word?) of our system. A couple of interesting AU vendors are looking at producing native EigenD instruments at the moment, and I think there will be many more in time. We try to avoid MIDI wherever possible as it has so many serious performance limitations. We did have a look at OSC but there are a bunch of things that our protocol does that OSC didn’t (not least of which, for example, is clock syncronisation for jitter removal, utterly vital over ethernet for live performance) so we decided to grow our own and release it. Absolutely no reason whatsoever that we can’t interoperate fuly with it though, I suspect that an OSC EigenD Agent will probably come quite soon after the open source release. 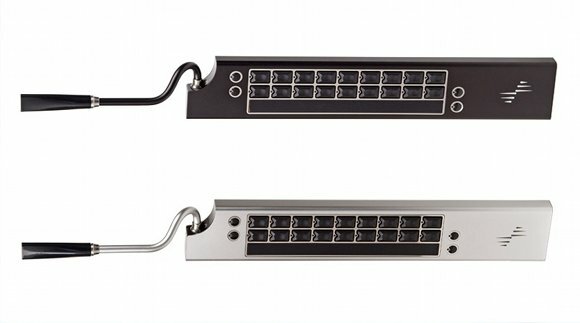 Is it possible to use this as a controller for MIDI hardware? MIDI software? Yes, EigenD has in and out MIDI gateway programs. The incoming [MIDI] is mainly used for pedalboards at the moment (to control scale, key, tempo, etc. ), although there is no reason you couldn’t use a midi keyboard to play notes. We’re using the MIDI out to do a wide variety of things, including playing MIDI sound modules, and controlling video DJ software and lighting systems. There is a huge reduction in effective bandwidth when ‘downsampling’ to MIDI, but for a lot of things it still works very well. And of course, the AU and VST standards (which we fully support) are a kind of MIDI interface. Is it possible to access its native protocol for custom software / Max-Pd patches and the like? Well, we’re open sourcing the whole thing early next year, and I think there’ll be a lot of work done to glue all sorts of external stuff in then. Max/MSP has attracted a lot of interest in this area. The whole of EigenD is kind of built for this really. We’re an Open Source company: my main personal desktop is Linux and I have a strong personal commitment to open standards. I offer a number of ‘programming bounties’ for Linux improvements on my personal website at http://johnhenrylambert.com. Tell us more about open-sourcing the software. What tools did you use to build the software. It’s written in a mixture of C++ and Python. It’s quite scary code, but very clean and pretty, with little ‘cruft’. I think the open source community are going to have fun with it. Its a big system too, 8 years of R&D in one huge release. I don’t think that there’s been anything quite like this open sourced before in the music world – it is a bit as if Logic or Ableton were GPL’d tomorrow. Thanks, John! Stay tuned for more details, and let me know if you have specific questions for the creators.